The Stamps Scholarship represents almost 900 Scholars across 41 institutions. 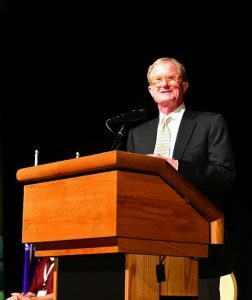 To encourage learning and collaboration among the national network of Stamps Scholars, the Stamps Family Charitable Foundation (SFCF) sponsors a convention every two years. During this remarkable weekend event, Scholars come together to learn from business, nonprofit and university thought leaders to share ideas and present the results of their ongoing enrichment and academic activities. The inaugural Stamps Scholars National Convention was hosted by the University of Miami in 2011. It incorporated 110 Scholars and administrators from 9 different schools, bringing students together as members of a growing Stamps network for the first time. After receiving a warm welcome from Roe and Penny Stamps, Scholars attended a Miami Heat basketball game. In between lectures and discussions with various speakers, Scholars also received the opportunity to listen to a special performance by the Stamps Scholars from the Miami Frost School of Music. 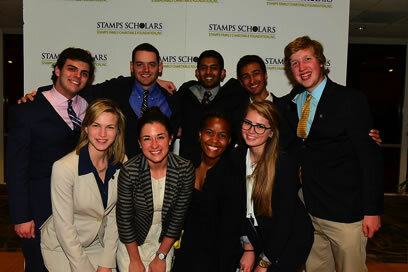 The 2013 Stamps Scholars National Convention was held at the University of Michigan in Ann Arbor. It brought together nearly 280 students and program leads from more than 30 top institutions across the country. Students participated in a number of breakout sessions, each led by top Michigan faculty and staff members. Event speakers included distinguished entrepreneurs and leaders such as Rich Sheridan, the President and CEO of Menlo Innovations, and Neil Hawkins, the Vice President of Sustainability and Environment, Health & Safety for The Dow Chemical Company. The 2015 convention included 500 students from 41 partner colleges and universities around the country. During the weekend, Scholars benefitted by visiting Atlanta businesses and organizations, participating in discussions with area leaders and listening to a welcome to the city from Atlanta Mayor Kasim Reed, and keynote addresses by former NFL and Georgia Tech Football Coach Bill Curry, and Harvard Business School Professor Bill George. Students also had the exciting occasion to visit the Atlanta aquarium, perform in the Stamps talent show, and participate in a Scholar Soiree. With all the wonderful opportunities the city of Atlanta had to offer the Stamps Scholars, Georgia Tech hosted the Stamps Scholars National Convention again in 2017. In addition to the excellent selection of threads and service challenge projects, Scholars heard keynote addresses from renowned national leaders, Teach for America CEO Elisa Villanueva Beard and former director of the Smithsonian Dr. G. Wayne Clough. April 12-14, 2019, will mark the fifth biennial Stamps Scholars National Convention. In addition to threads and service challenges, Scholars will take part in panels, talks, and symposiums and hear from former NFL coach-turned-lecturer, Daron K. Roberts as well as retired Navy Admiral James A. “Sandy” Winnefeld, Jr. and S.A.F.E. co-founder Mary A. Winnefeld. This unique opportunity will provide the chance for Stamps Scholars from all over the nation to come together to learn from various leaders of the Atlanta community and beyond. The weekend offers the rare occasion to connect and work with students from a multitude of institutions, while networking with business and other leaders in the process. Furthermore, the convention will provide Scholars occasions to break into smaller discussion groups, each focused on a different specific topic. These groups will then attend pertinent lectures, tour locations relevant to their topic, and discuss and help formulate potential solutions to real-world issues. This weekend represents the opportunity to connect with others, form invaluable contacts, and obtain hands-on experience in fields of interest. 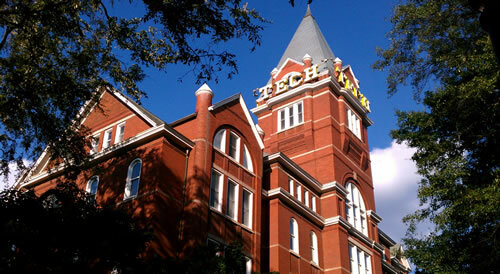 One of the nation’s leading research institutions, Georgia Tech is located in the heart of Atlanta, Georgia. The university strives to focus on interdisciplinary research in order to improve the human condition through advanced science and technology. The institution is well known for its strong partnerships with various companies and industries. Furthermore, the school is recognized for its well-rounded education through various community service activities. 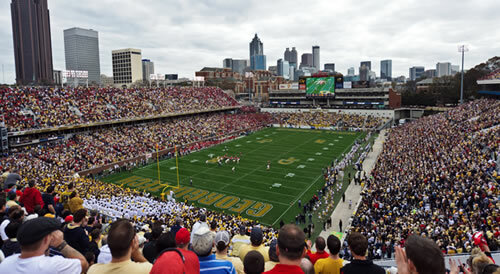 Georgia Tech offers over 400 student organizations to its 25,034 students, along with the benefits of a Division I athletic program. 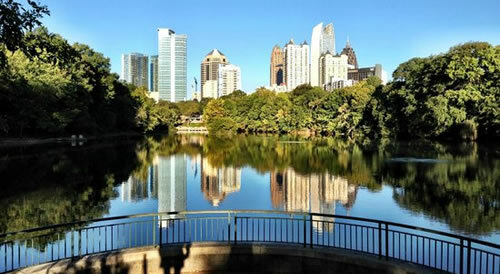 Atlanta is the most populous city in Georgia, serving as the capital of the state. 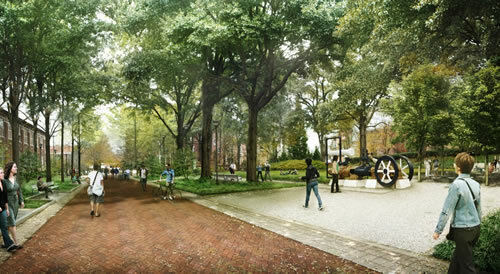 It is commonly known for its culture as a cosmopolitan city with a Southern backdrop. 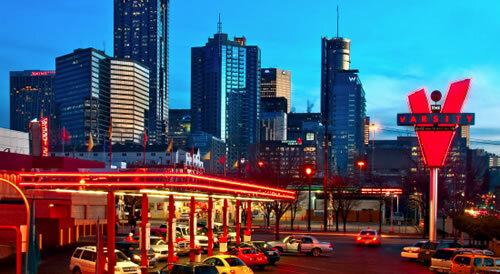 Home to three different professional sports teams, Atlanta is the 7th most visited city in the country. The city even served as the host of the 1996 Olympics. 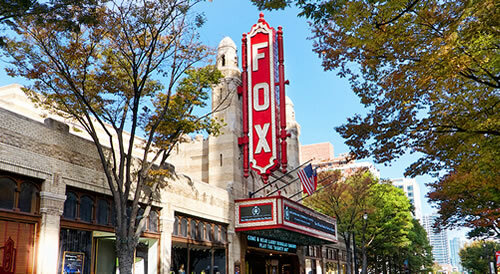 Some of the area’s most iconic landmarks are the Fox Theatre, Piedmont Park, and The Varsity restaurant.